LEE SKLAR…..Leland “Lee” Sklar has been a fixture in the recording studios of L.A. for over four decades. His bass playing can be heard on over 2,000 albums (so far!) for a great many music icons, including Phil Collins, Billy Cobham, Rod Stewart, Linda Ronstadt, James Taylor, Hall & Oates, Jackson Browne, Tommy Bolin, David Bowie, Ray Charles, B.B. King, The Doors, Peter Frampton, Aaron Neville, Lyle Lovett and countless others. He has also played bass for many TV shows, including Hill Street Blues, The Rockford Files, L.A. Law, Knight Rider and Simon & Simon, and has performed on the soundtracks of many motion pictures, including Forrest Gump, Ghost, Kindergarten Cop, and My Best Friend’s Wedding. He was the bass player for the band Toto in 2007 and 2008, filling in for an ailing Mike Porcaro. Lee continues to be a mainstay in the L.A. studio scene, showing no signs of slowing down. DAVE PEGG.……As a teenager, Dave became involved in Birmingham’s vibrant 60s rock scene. He soon found himself playing guitar most evenings with one or other of the city’s young bands. Later, Dave auditioned as a lead guitarist with The Uglys but was persuaded to swap to bass guitar and has played the instrument ever since. In 1980, he joined Jethro Tull as bass player and spent 15 years with the band. As if playing in two bands was not enough, he set up Woodworm Records to produce and market Fairport’s albums. He also recorded a solo album. 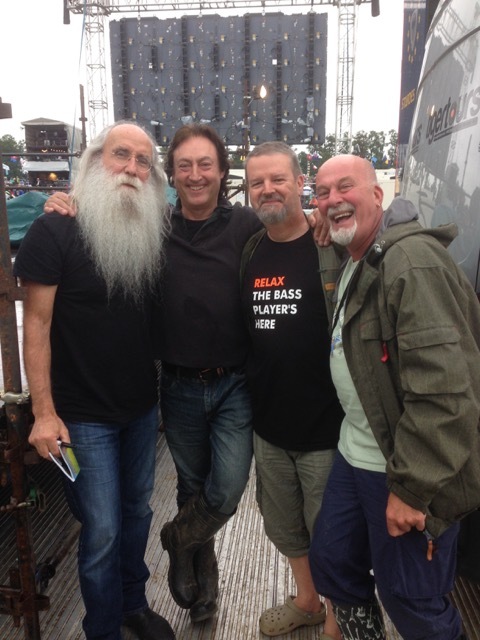 Dave has also co-organised Fairport’s Cropredy festival since the early 1980s. From small beginnings, it has grown into a major event that attracts 20,000 fans each August. ALAN THOMSON……As a Bass player Alan was another long-term member of John Martyn’s Band and an accomplished song-writer. His touring and writing credits include Robert Palmer, Rick Wakeman, Andy Summers, Bo Diddley, Denny Laine and Long John Baldry. 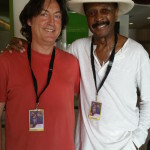 LARRY GRAHAM…..The co-founder of funk pioneers Sly and the Family Stone AND Graham Central Station.